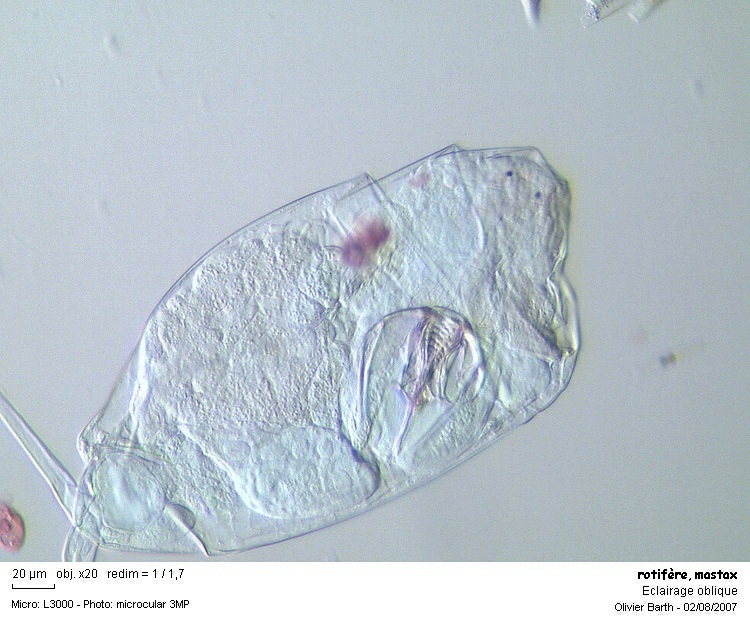 an impressive jaw:the trophus of rotifer dicranophorus sp. it can throw this jaw to catch preys. Olivier, this is truly an impressive creature -- and a couple of excellent pictures. I must have overlooked these when you first posted them. Very nice! Enjoy looking at your images. 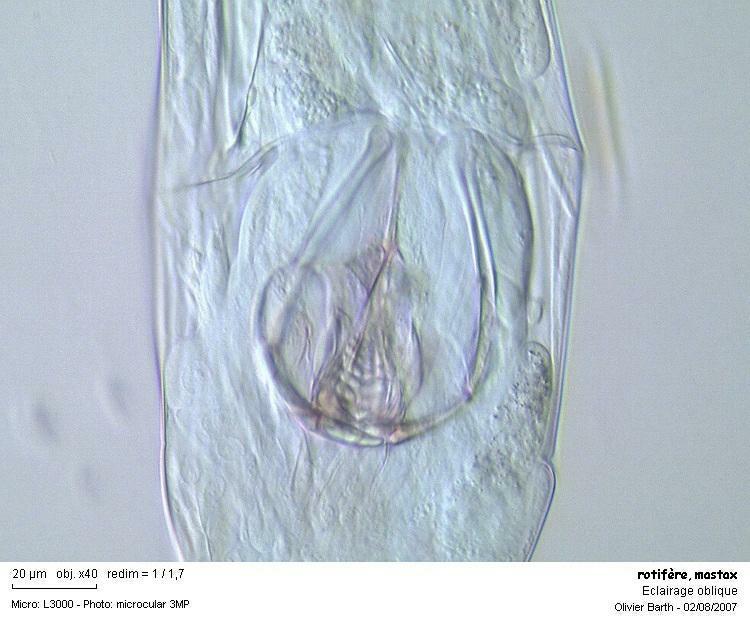 This rotifer is really well done, and clearly shows how effective oblique lighting can be.